Luxury apartments, are designed different than regular residence architectures. Garden arrangements, social facilities, one or more storey arrangements including parking areas, high ceilings, spacious rooms, large sunbathing terraces or balconies are designed on the exterior. All these arrangements are made with exclusive materials. Every detail of the apartment is thought of. From door knobs to the lighting systems, window casements to insulation system every detail is made real by professionals in the area. What is a Luxury Apartment? In luxury construction projects the criteria published in the official gazette is taken into account. This criteria is defined by the quality of siding, roofing, ceiling, interior walls, flooring, stairs, windows, doors, bathroom and toilet, heating arrangements.When evaluated by this, matters below are considered on the interior and exterior qualities of a luxury apartment. The exterior walls must have a marble, tile or copper coating. - Roof should be covered with copper or lead and should be heat insulated. - Hidden lighting systems are used in at least two rooms, also suspended roofs with sound insulation is preferred. Suspended roofs should be made by hard wood, aluminum or plaster. - Floor of the apartment should be covered with marble, natural stones, authentic wood or carpet. Other than that, special made types ceramic or granite can also be used. - All stairs made in the residence building, should be built with natural stones, wrought iron, hard wood railing. - Windows should be made of metal and chopped hard wood, special purpose glass with natural stone parapet and shutters. - Doors should be made of hard wood, padded, engraved, with a metal chest, special glass planed and automatic control systems. What is the Luxury Apartment Criteria? High quality and civil architecture understanding in Turkey that is on increase, has covered a considerable distance thanks to the developing construction technologies. Today, aside from the rules above tens of innovations have been made real, elaborate special applications were made fully focused on peoples life quality and comfort. Privileged spaces are created using smart home systems, terraces with pools, special dressing rooms located within the bedrooms, special design kitchen cabinets, high quality built-in product sets and aesthetic and modern light mechanisms. All the colours used in the space are picked out complimenting each other. Related to that, it creates a non eye-tiring, spacious, bright and natural wholeness. Flexi lazer systems are used in the apartment’s wood, furniture, paneling, door, acrylic leather and metal works. This way, symmetric and arabesque engravings, traditional or modern motifs, are imprinted on surfaces carefully and permanently. Special interior and exterior light systems are applied in luxury apartments. Sometimes interior decoration arrangements are made in a manner where antique designs merge with modern architecture. The used construction materials and accessories’s being first class is an important factor for the living space to have a long life and to be used for generations. Everything can look better than you have imagined in your new luxury house thanks to the furnitures that have a braking system, sliding doors that make life easier and arrangements that open the doors to a new life. Bathroom designs are also very eye-catching and dazzling in luxury apartments. Special made jacuzzis, tempered and solid glass shower cabins, smart shower systems, English style cabin designs are very gripping. The first advantage luxury apartments provide, is life becoming much easier and comfortable within the house. You do not need to worry about where to place which of your stuff during the moving. As the most appropriate spot would already be decided for you. A practical place has been thought of for each of your personal things. Most of the luxury apartments have been adorned with design furnitures and white appliances. You can move into your new home by choosing the design that suits your style most. It is not possible to dislike these luxury house designs prepared by professional interior architects. Thanks to the smart home systems, you can use your house’s heating, air conditioning, cooling and lighting at any degree you want. You can check all these settings through your smart phone. Residences and mass housing projects among the luxury apartments in Istanbul have unique views. Offers a comfortable and great life opportunity. While sipping your coffee at home, you can also gaze upon an amazing Bosphorus view, city view, sea view or a forest view. In residence projects there is an emphasis on the green areas. Gorgeous garden arrangements, ornamental pools, special trees and plants can be observed. In some residence projects, window designs are very fresh to look at. You can have windows that reach from the floor to the ceiling and continue through the wall. Engineers that narrow down the residence’s bearing elements in a spectacular way, allow wide window sets. This way, you can watch the view from a more broad area. 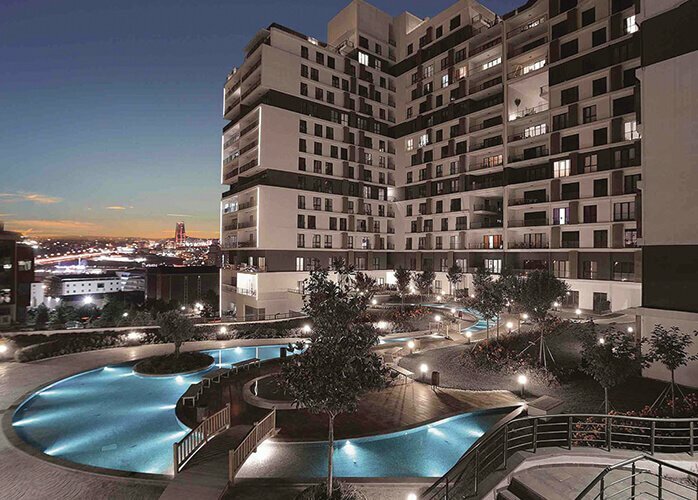 Residence complexes that are featured in the Istanbul’s luxury apartments list are usually constructed in the most central areas of the city. Along with that, you can reach places such as beaches, malls, airports, metros, metrobuses and train stations in a short time without wasting time and without having to deal with traffic. Istanbul’s luxury apartments located within the residences or mass housing projects offer limitless social opportunities to its residents. For example, you do not need to register to a gym, because you have a gym with best sports equipments that are always ready and a trainer who is ready to accompany you. 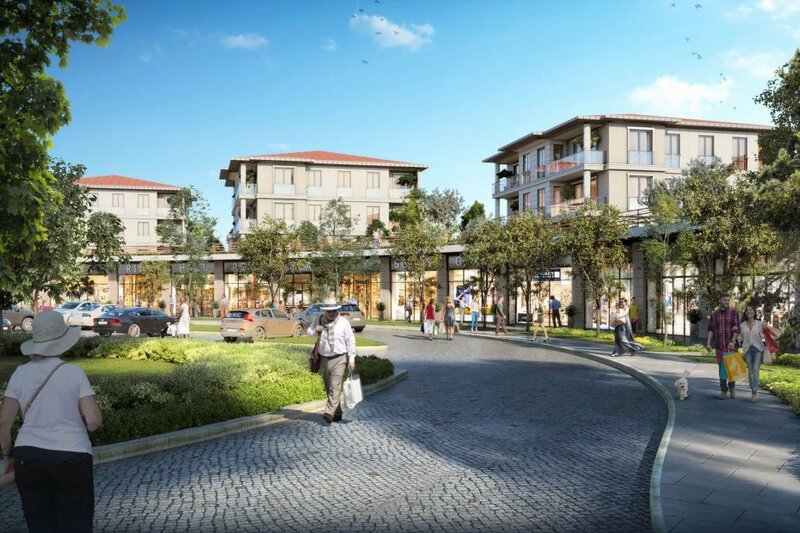 As an example to these kinds of luxurious social areas, Coral City Istanbul can be given, featuring grand social facilities and limitless possibilities to its residents. Indoor and outdoor swimming pools, children’s pool, soccer, basketball and tennis courts, cinema halls, meeting rooms, cafes and restaurants, outdoor and indoor parking spaces, spacious and chic elevators, valets you can get assistance from when you’re in need, walking parkours and children playground areas where you can enjoy with your kids are only a few of these opportunities. In luxurious housing areas, security is very critical. There are private security guards and surveillance cameras that are always recording. Entrance and exit to and from the residence complex is always under control. The doors for blocks have entrance codes. You can control the visitors that come to your house or anyone anyone who rings your door through your video diaphone system. The security guard also informs you by calling is there is anyone who wished to visit you. One of the best advantages of luxury apartments is room service and room cleaning. There is a cleaning personel who is responsible for your apartments cleaning on a regular basis. This way you do not need to waste time on house chores. By being in contact with your reception of your residence, you can go through with all plumbing and fixing needs. The smallest technical problems you’re going to face in your house, would be handled immediately by the service attendants. People in charge of the residence’s cleaning and maintenance, is doing the cleaning of the residence on a regular basis. Your family and your loved ones would always live under clean conditions. You can also always find services like dry cleaning and coiffeur in residences. You can get your clothes perfectly cleaned and by making an appointment with your coiffeur and get your care either at home or in the beauty saloon. Tailors and shoe shining salons that are located in the malls are only a few steps away when you need it. 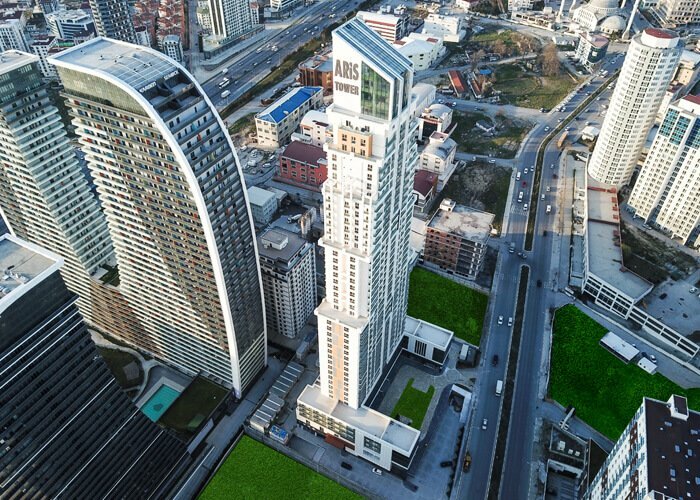 Like in Aris Grand Tower project, rising in Esenyurt, Istanbul’s high demand district in some residences in Istanbul, stores, office blocks and housing blocks are all under one complex. You can reach the finest stores in minutes when you need to shop. By renting or purchasing one of the offices in the office blocks and shorten the distance between your house and your work. Another topic residences offer conveniences for is banking. You can handle your bank transactions by visiting the ATM’s in the mall located right under your residence block.